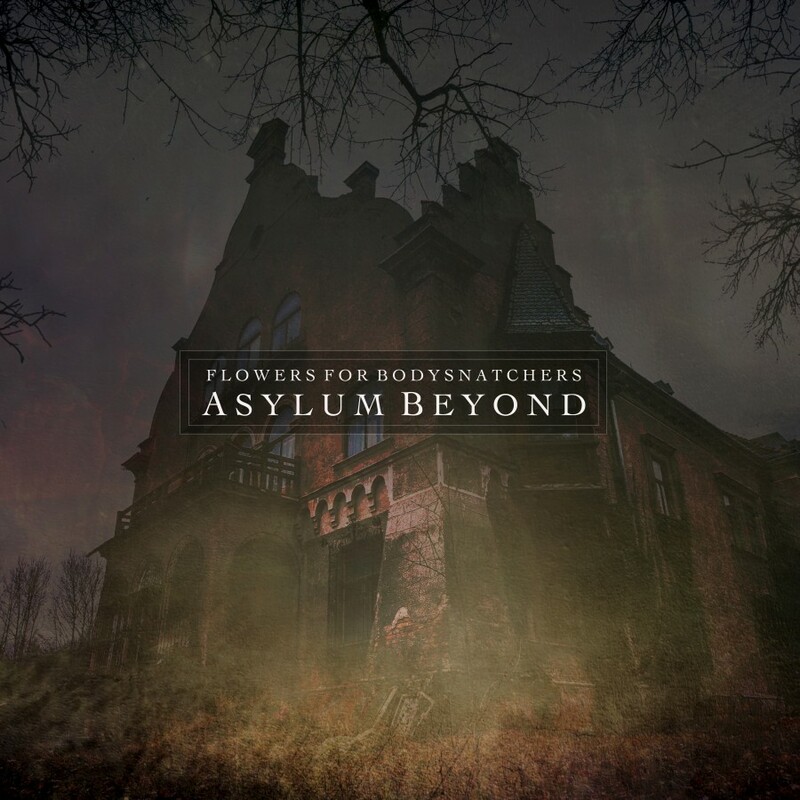 Asylum Beyond marks a moment in dark ambient which I’ve been waiting to see for quite some time. In a genre like dark ambient, one would expect to find “horror ambient” music around every turn. But the truth is, most dark ambient artists stray quite far from this style. Their sounds usually harnessing something more akin to melancholy, despair or the phenomena of the natural world. We get views into the horror infused world only intermittently. Artists like Atrium Carceri, Svartsinn and Apocryphos have spent time in this area, but few others have fully dedicated themselves to producing utter darkness, in a skin-tingling fashion. Duncan Ritchie seems like the perfect person to join the small but potent group of musicians that have delved into the horror style. His first project, The Rosenshoul, has always worked in a soundtrack-like fashion; building soundscapes for imagined horrors. But with The Rosenshoul, the focus was never on the cinematic, only the pure musicality of the sounds. Flowers For Bodysnatchers, from its inception, has been a channel for Ritchie to create intricate and often intimate cinematic experiences which actually seek to tell a story. His first two releases on Cryo Chamber, Aokigahara and Love Like Blood, told a story of a broken man, riddled with guilt and heartbreak, who takes a trip to the great sea of trees in Japan, the Aokigahara forest, the most popular suicide destination in the world. On the four artists collaboration, Locus Arcadia, Flowers for Bodysnatchers joined Randal Collier-Ford, Council of Nine and God Body Disconnect to tell a sort of side-story from the Sabled Sun mythos, another product from the mind of Simon Heath (Atrium Carceri/Sabled Sun). Ritchie puts to the test his experience in story-telling with Asylum Beyond. This album takes all the lessons Ritchie has learned over the years and hones them in on the story of a deranged, and possibly even evil, antique store owner from 1968 in Massachusetts. Ernest Semenov was admitted to Ravenfield Asylum for the murder of his wife and children. Numerous elements on the scene pointed to ritual dismemberment and slaughter. Not long after his admission to Ravenfield, the asylum burns to the ground, killing everyone on the premise aside from Semenov and his doctor, which have both disappeared. The focus on old burnt-out asylums, ritual murders, secret occult knowledge and the hideous truth that lies somewhere just beyond reach all make for the perfect late-night exercise in the imaginings of the macabre and deranged. The surgical execution of Ritchie in his aural story telling reaches its climax with Asylum Beyond. 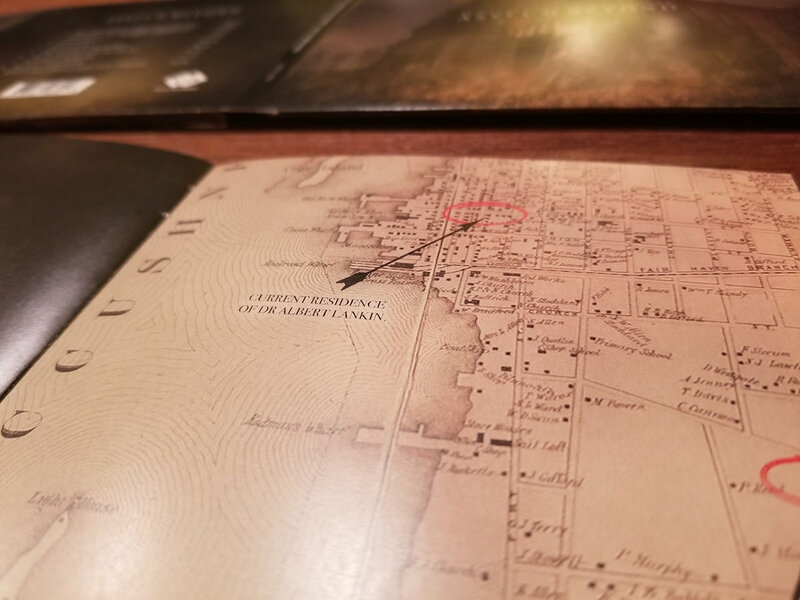 The album is a perfect example of horror ambient, because it sits on the boundaries between the real and the imagined, the historic truth and the supernatural lore. The listener is given just enough textual information and aural clues to follow Ritchie’s plot, while simultaneously creating one’s own narrative. From a physical standpoint, Asylum Beyond is also quite unique. On the Cryo Chamber label, almost all albums are mastered by Simon Heath. He has also created most of the cover-art for these albums. On Asylum Beyond, Duncan Ritchie is given full reign over his project. He was responsible for all parts of the creation process: mixing, mastering, photography, and so forth. 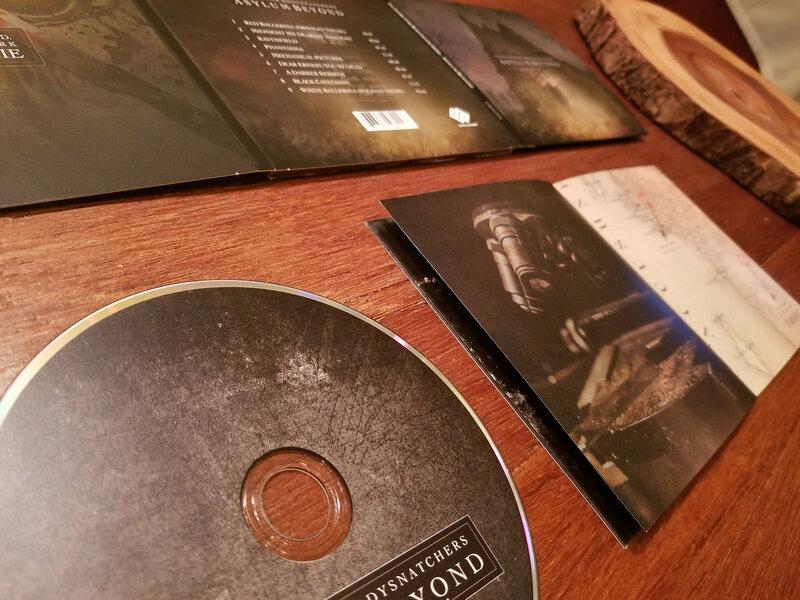 Asylum Beyond also comes with a 16-page booklet filled with more clues and images to enrich the story, another oddity for the Cryo Chamber discography. So, it’s clear that Heath also sees the infinite talents of Ritchie, and trusts in his judgment. Asylum Beyond serves as a perfect template for the dark ambient community. It shows how one may focus on themes that could be considered unworthy to the more philosophically driven artists of the genre; and how these themes are still absolutely worthy of our attention. When undertaken from the right perspective, horror ambient can be as entertaining as the best of horror movies. Even more so in many ways, since “seeing the evil” ultimately brings about disbelief and sometimes even humor in horror films. Horror ambient is able to bring us face to face with these horrors without ever removing the fragile veil from the listener’s imagination.